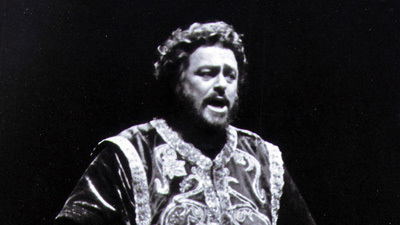 David McVicar’s dramatic production, first seen in 2009, highlights the raw emotions that drive Verdi’s turbulent tale of love and revenge. Leonora (Sondra Radvanovsky) and the outlawed Manrico (Marcelo Álvarez) are passionately in love. 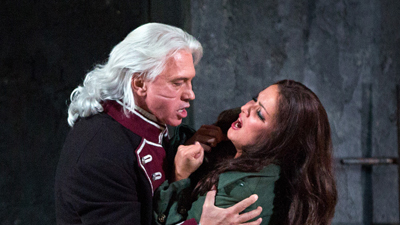 But Manrico’s political enemy, Count di Luna (Dmitri Hvorostovsky), wants Leonore for himself. Meanwhile, Manrico’s mother, the gypsy Azucena (Dolora Zajick), has been keeping a horrible family secret. It’s a combustible combination that eventually leads to a tragic outcome.